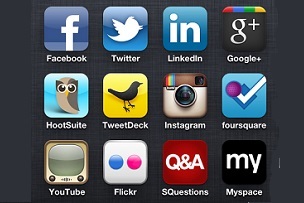 Facebook, Pinterest, pokes, likes, Twitter, pages, retweets, Linkedin, Instagram, hashtags, favourites, Tumblr, pins. If you're not familiar with social media marketing then getting started with it can be bewildering. There's a plethora of conflicting opinions out there about how small companies can make a good go of it, so MT spoke to some experts to give you a flavour of what it takes to be successful. If you're still one of uninitiated (i.e. living under a rock for the last eight years or so), most social media essentially functions by showing users updates, from friends, famous people they're a fan of, sports teams, the media, brands they like, and so on and so forth. Updates can be text, links, pictures, videos, or a combination. The most fundamental and basic point is to make those updates engaging, so that people actually take interest in them, rather than seeing them as a naked sales pitch. Get them interested first - then they might decide to buy something from you later. Used well, social media can help you reach customers for a much lower budget than traditional marketing avenues. 'What social media has allowed businesses to do is proactively talk to customers without big budgets,' says Charlotte Brooks, head of client services at Born Social. Think about what your potential customers will find interesting. If you're a food company it might be that you could share a recipe suggestions, if you sell sports cars then you could share some news you've seen about Formula 1. A good example is Zoopla, which lures in Twitter followers with pretty pictures of houses, competitions and news about the property market. There's a lot of different social media platform and it can be tempting to rush out there and open an account on Twitter, Facebook, Google Plus, Linkedin, Quora, Tumblr etc. etc. Assuming you won't be dedicating a vast amount of time to social media, it's better to instead focus on a particular platform or maybe two which best suit what you're trying to do. 'It's not about giving a little on a lot of platforms, it's about knowing where that value is going to come from,' says Blackwood. There was a time when you could use platforms like Facebook for free to easily keep customers updated with your lastest coming and goings, but it's got more difficult in the last few years. Only a few of your fans will see your latest updates in their newsfeeds, so it can be worth investing in boosting your updates and promoting your page to get it seen by a wider audience.